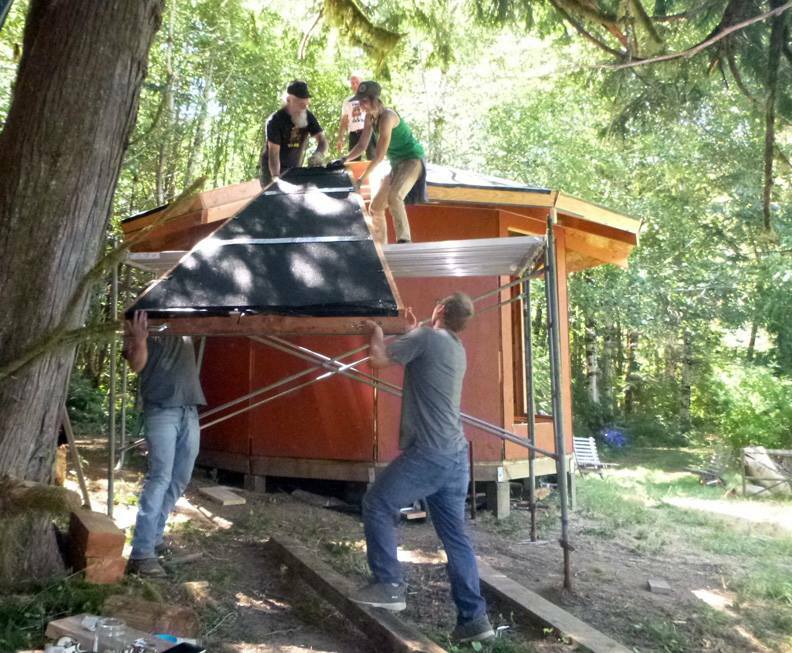 Are you interested in building a solid structure style yurt? For about $5,500? 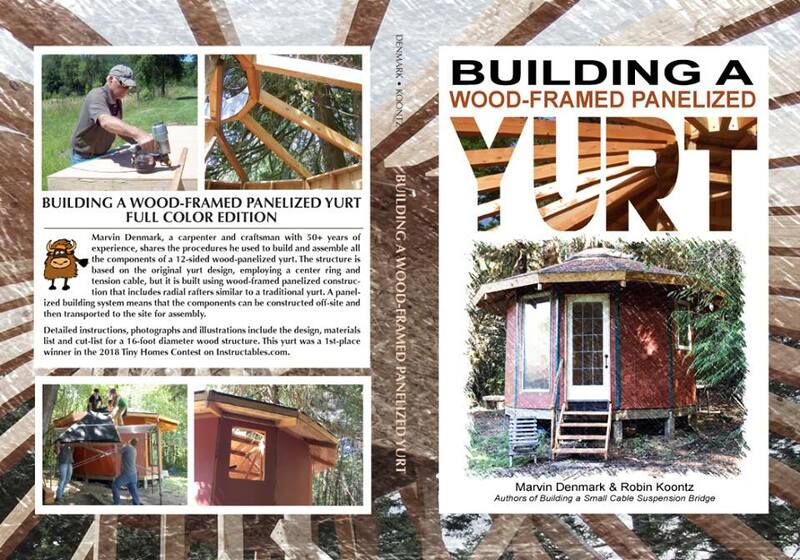 Both editions of Building a Wood-Framed Panelized Yurt are live on Amazon.176 pages of detailed instructions, photographs and illustrations include the design, materials list and cut-list for a 16-foot diameter wood structure like the one pictured here. Click here for the color version. 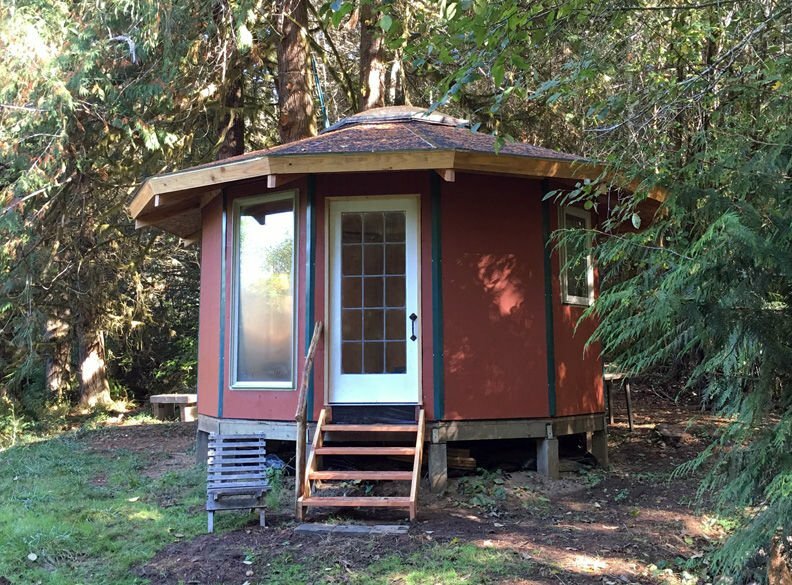 This yurt won a First Prize in the 2018 Instructables Tiny Homes Contest! 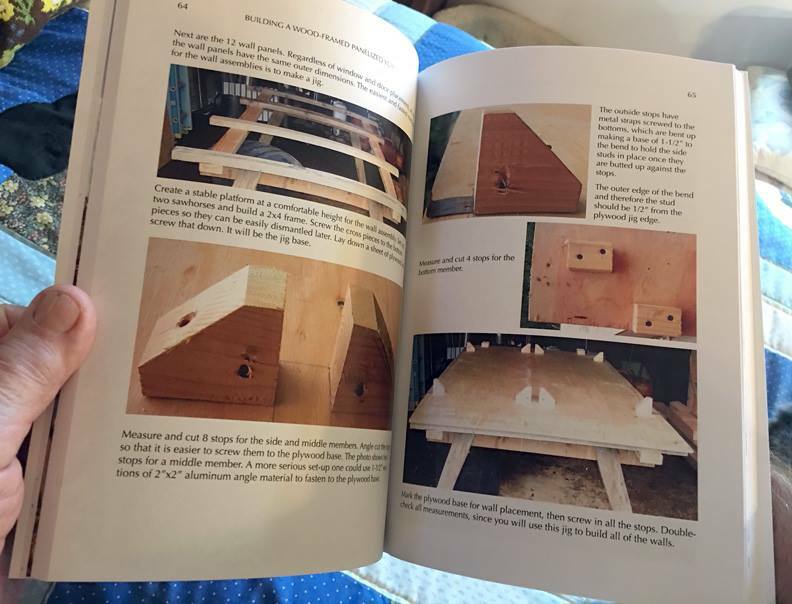 You can see exerpts from the book, including the materials list and floor/roof plans here. You can read more about it by joining our YurtYaks Facebook page and by following Wildcat Man on Wordpress.